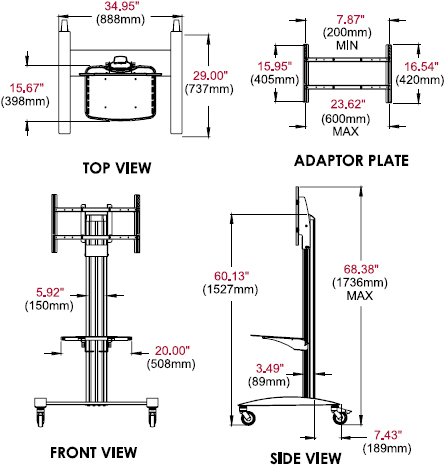 Peerless SR560M SmartMount Flat Panel Cart has been redesigned to include all of the features you may need, making it perfect for any application. Mobility, appealing design, display height adjustment and a pre-assembled base ensure quick assembly, while providing a rigid, but attractive structure that fits into any décor. The 4" castors make it easy to move from room to room while the UL certification ensures you that it can be done with safety in mind. Helpful Hints: Designed to meet UL certifications, the SR560M incorporates safety and security, ensuring you get the job done correctly.